The basic premise of this project is to expand on Bright Bike and improve it. I received a number of comments when Hackaday.com posted this (search Bright Bike) some were more constructive that others, but a few ideas really stood out. 1. A smaller package – The original was a 4″x1.5″1.5″ box, which is to big for the back of a bike. 2. Rechargeable battery with easy access – The first one was powered by a 9v with about 800mAh and was sealed in the package which was not a great setup. The new Bright Bike features a 3.7v 2000mAh rechargeable Li-ion battery. 3. 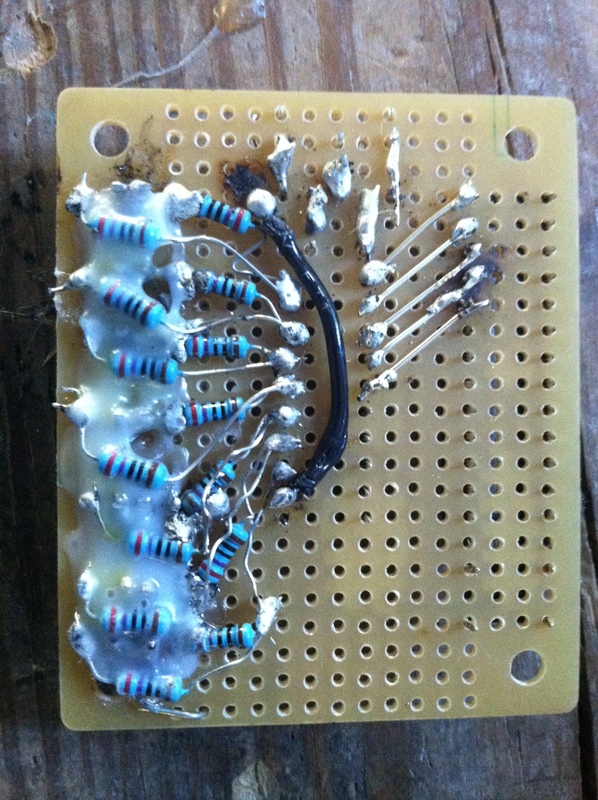 More LEDs/use of multiplexer – There is no such thing as to many LEDs. 4. It was a waste to use an entire Arduino because of size and cost. From these ideas I have developed a new Bright Bike that will fit in a package of 2″x2″x0.5″ including the battery. 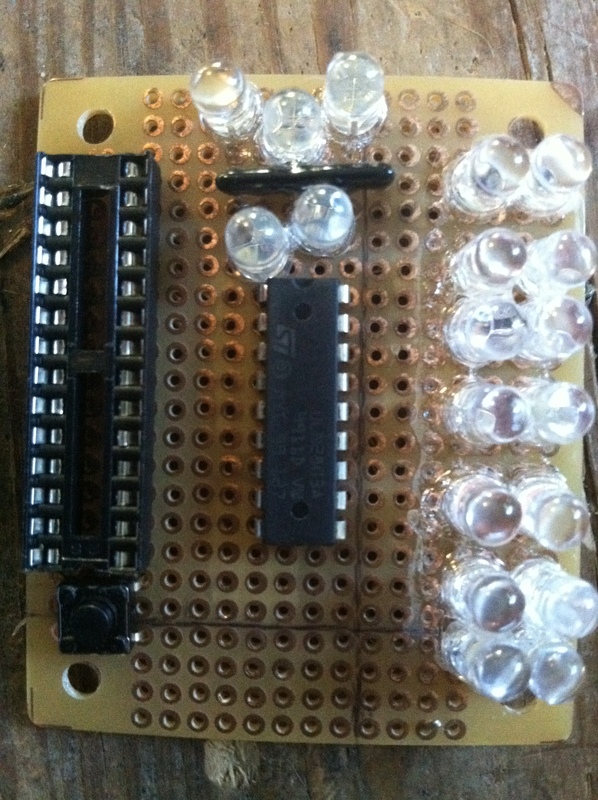 It will have the same Ultrasonic sensor (range = 6.45m) and 28 LEDs in two groups. One group will just light up while the other is a set of multicolor LEDs that will light up by color corresponding to distance. As for the controller I am still using an “Arduino”, but in the form of a standalone Atmega328 cutting the size down not to mention the cost from $30 to $7. A few parts are still on the way, but one of them came today that I thought was really exceptional. 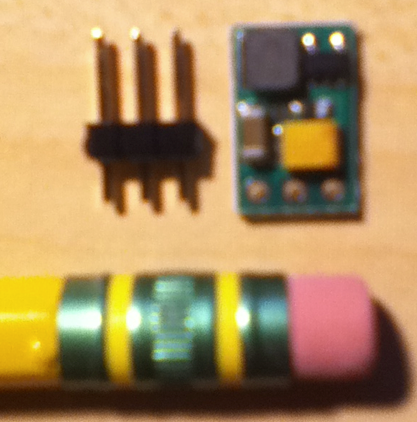 That was the 5v boost regulator since the battery is 3.7v and the sensor needs 5v. The picture says it all.